I noticed that books and socks seem to be thing over on Instagram and Tumblr and I couldn't resist its appeal. 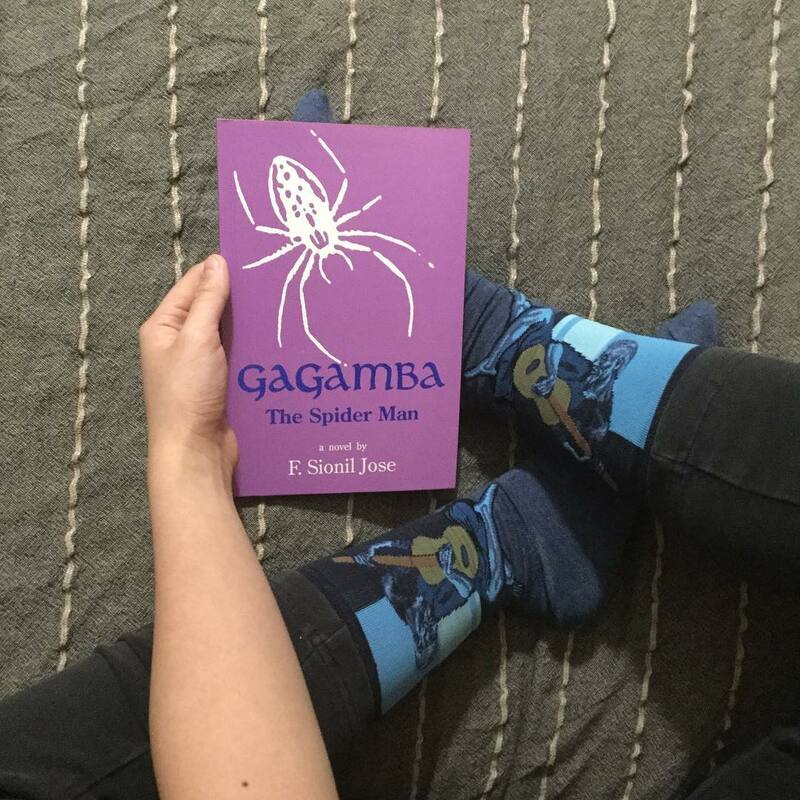 Ever since I (re)started on Instagram (@guiltlessreader), I've photographed some of my more interesting socks and paired it with some great books. Since I don't think I will ever amass enough socks to do this every Sunday and knowing that I'll likely have the urge to post when I actually am wearing the socks, I'll be compiling a few of these photos at a time. Wanna join in? Leave me a comment and I'll go visit your socks and books. I read Gagamba in 2014 in an attempt to read more books by Filipino authors. Gagamba, which translates to "spider" in Tagalog (or Filipino) is a bundle of vignettes of ordinary people who come to a restaurant in Manila, tied together by an earthquake. It's an interesting way to tell a story! The author, F. Sionil Jose is a Philippine National Artist for Literature and is the most widely translated Filipino author. Read my review or check out snippets to get a feel for his writing. Now on to the socks: Pablo Picasso's The Old Guitarist. I'm over the moon I was able to get a pair of these because I think Picasso's Blue Period produced some interesting pieces. 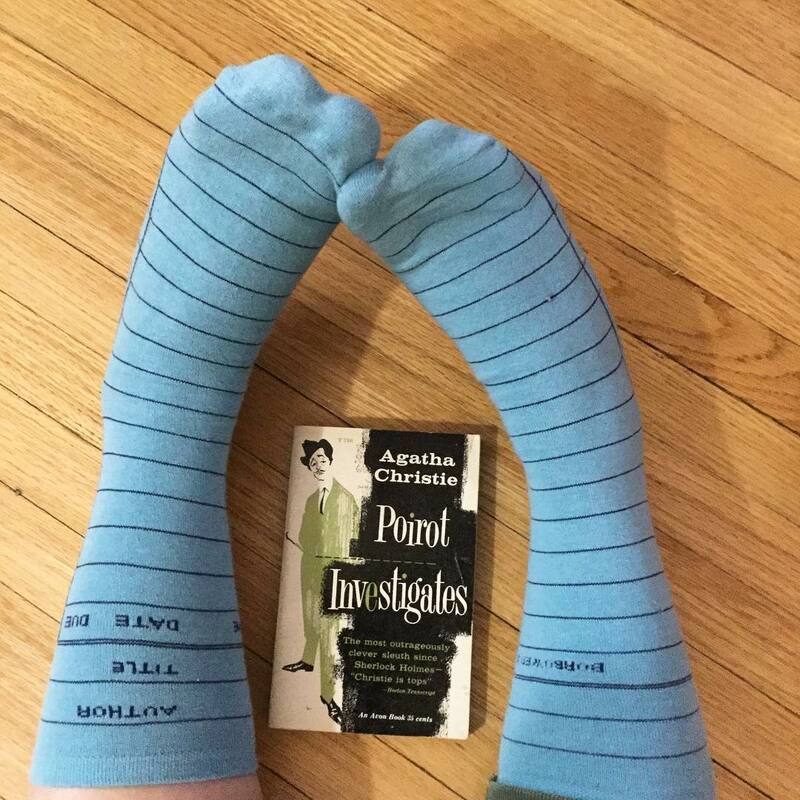 I bought both this vintage Agatha Christie book and this brand new pair of "Due Date" socks by Out of Print in the very same thrift store! Agatha Christie is one of my favourite authors; I was introduced to her by my grandmother and I haven't stopped reading her ever since that first acquaintance. Get some snippets of Poirot Investigates over on Instagram, including how precariously dainty this book is - only I would buy a book that is starting to fall apart. Or are you one those types of people too? I read Love in the Cholera for my perpetual Travel the World in Books + Read the Nobels challenges. 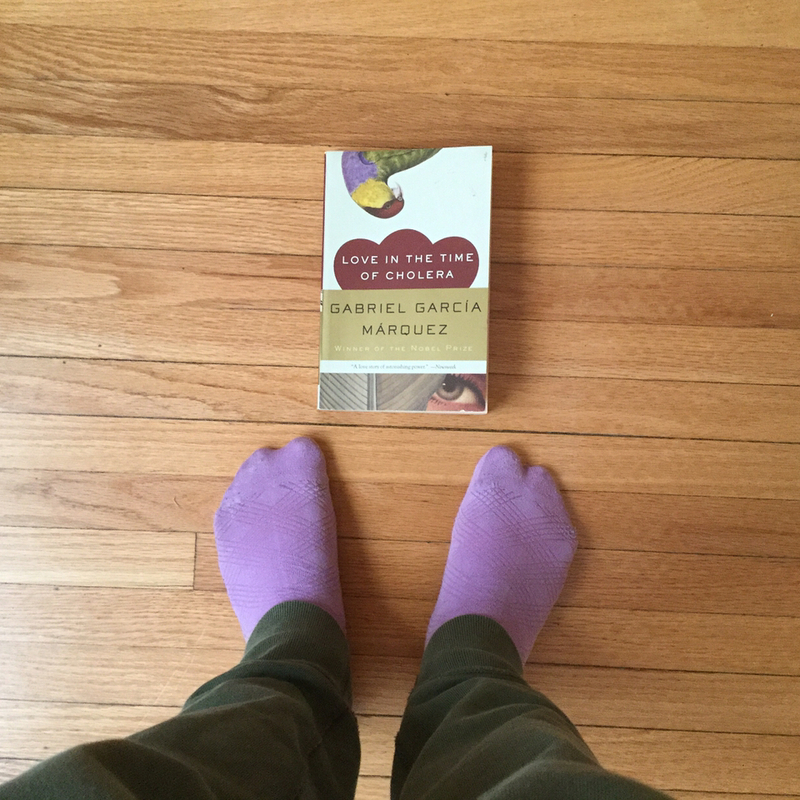 I am so in love with the Vintage editions of Gabriel Garcia Marquez's books that I've made it my personal mission to collect them all. I love that little hint of purple in the parrot, which I matched with my lavender socks! So that's it for this round! Do you like books and socks? Share them with me - I'd love to see your pairings!